In South Carolina, the Department of Education prides themselves for having schools led by effective teachers and principals. Here are the steps to help you become an educator in the Palmetto State. Do you see yourself as an elementary school teacher? Perhaps you prefer working with older children in high school? You may even prefer working with students with special needs? Before you become a teacher in South Carolina, you must think about what type of students and subject(s) you would like to teach so that you could work towards the correct licensure. If you are having trouble deciding, visit the South Carolina State Department of Education for information on teachers, curriculum, schools, and students in the state. As with other states, South Carolina requires that certified teachers possess a minimum of a Bachelor's Degree and complete a teacher preparation program from an accredited institution. If you do not have a Bachelor's Degree yet, you will most likely be able to complete the requirements for a Bachelor's Degree and teacher preparation program simultaneously through a joint program. Joint programs are designed for people who know from early on that they want to become a teacher. To teach in a public school, teachers are required to possess an Educator License. This license is traditionally obtained through the completion of a teacher preparation program. Candidates can complete on-site or online teacher preparation programs. The teacher preparation program should be approved by the state and accredited. The Southern Association of Colleges and Schools (SACS) is responsible for accrediting schools in South Carolina. It is important that candidates confirm that their school of choice is accredited by the official agencies. These programs generally consist of college coursework and fieldwork. The coursework usually covers pedagogy, subject-based teaching methods, differentiated instructional strategies, technology integration, and more. The fieldwork portion of the program usually requires candidates to conduct field observations and complete student teaching or an internship. Usually, successful student teaching includes working with a mentor teacher in order to prepare and execute lessons based on the needs of the students in the host classroom. Most times, candidates will be required to put together a portfolio at the end of the student teaching period. As mentioned earlier, this step is commonly as part of a Bachelor's Degree program. However, if you already have a Bachelor's Degree, you can complete this program through an alternative or post-baccalaureate program. Many online or traditional schools even offer joint Master's Degree programs. South Carolina offers several alternative pathways to licensure. Some paths lead to full, professional certification while others offer a temporary opportunity to teach in public schools. PACE (Program of Alternative Certification for Educators) gives qualified individuals an opportunity to teach in a public school as they complete all the requirements for professional certification in South Carolina. While in this program, candidates receive support from a mentor teacher as they gain experience in the classroom. In addition, individuals participate in seminars and training sessions. The Adjunct Teaching Certificate allows for experts to share their knowledge in a specific field in the classroom. Those who qualify for this Adjunct Certificate can teach courses worth up to two credits in their content area over the course of an academic year. It is important to note that this certificate cannot be converted into a professional teacher certificate. If you have an out of state license, you may be eligible for a South Carolina teaching certificate if you can present a valid out-of-state license. Part of the requirements for a reciprocal license is that the subject(s) documented on the license must be considered comparable to subjects normally issued in South Carolina. In addition, the out-of-state applicant will be required to submit the subject area examination score(s) as well as the general professional knowledge (pedagogy) score that was required for certification in the state in which the candidate was initially licensed. To become a licensed teacher in South Carolina, candidates must pass the CORE Academic Skills for Educators exam. This series assesses individuals in the areas of reading, writing, and mathematics. In addition, individuals wanting to become certified to teach in SouthCarolina should pass the Praxis II: Subject Assessments/Specialty Area examinations. The subject area assessments should be taken in the desired area of licensure. Official score reports should be sent to the Office of Certification from ETS. Clear status of criminal records check by the South Carolina Law Enforcement Division and a national criminal records check supported by fingerprints conducted by the Federal Bureau of Investigation. Once your application is processed, you will be ready to begin your career as an effective educator in the state of South Carolina. The South Carolina Department of Education has created the Center for Educator Recruitment, Retention, and Advancement (CERRA) in order to effectively manage employee applications. CERRA also helps manages employer job listings with the goal to recruit and retain high-quality teachers to the state. CERRA's website grants users instant access to all the teacher job postings within the state. Like most other areas of the country, CERRA places high priority on filling shortages in schools. Upon being hired, teachers may elect to join a non-union professional organization such as the SC Education Association (SCEA) or the Palmetto State Teachers Association. These associations focus on professional networking and development for teachers' practice. Teachers who have reached retirement age and who are no longer actively teaching are eligible to begin withdrawing funds from their pension plans managed through the South Carolina Retirement System (SCRS). While contributions to the fund are mandatory, employers contribute on average 3% more than individuals for pension funding. Teachers who wish to work outside the public school system are encouraged to apply to South Carolina's 443 private schools. Often times, private schools have smaller class sizes. Many educators prefer smaller class sizes as it allows teachers to effectively differentiate instruction to meet the needs of all students. Note that salary, benefits, and advancement opportunities may be significantly different than those of the public system. The table below lists the number of public school teachers in South Carolina by grade level during the 2012-2013 school year. There are more than 340 private schools with an estimated 4,400 private school teachers in South Carolina. The table below details the number of teachers by grade level during the 2011-2012 school year. Throughout the United States, teachers, support staff, and administrators have contributed to a strong culture of professional excellence. In addition to ethics and accountability principles, teachers are committed to engaging in ongoing professional development throughout their career. Most often offered by colleagues at the local, state, or national level, professional development helps teachers support student academic achievement in the classroom as well as helping teachers accomplish their career and salary goals. The most sought-after professional development offerings are those that are strongly data and research-based and delivered by experienced educators. 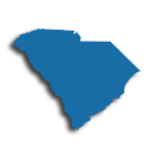 The state of South Carolina assists teachers by providing the Assisting, Developing, and Evaluating Professional Teaching (ADEPT) system of professional growth and development. This system supports teachers' professional growth throughout the duration of their career. The system has three foundational documents for teachers, including the professional growth and development plan guidance document, competence-building professional growth planning, and research and development professional growth planning. Teachers with further inquiries are encouraged to meet with their principal in order to begin their professional growth planning. From simplifying the renewal requirements for your professional certificate to earning a master's degree classification on your teaching certificate (and earning more in the process), there's plenty of reasons why it's a smart move to pursue a master's degree as a South Carolina educator. 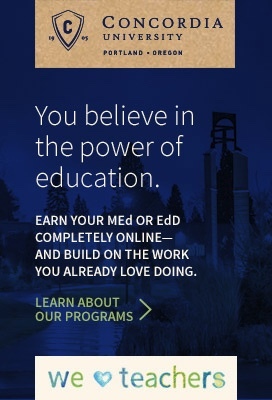 However, if you've earned a master's degree, either in education or in the specific subject you're certified to teach, you'll be exempt from the graduate-level coursework requirement during each renewal period, making the process of completing your renewal requirements an easier and less-complicated effort. Earn a master's degree and you'll be eligible to upgrade your certificate from a bachelor's degree classification to a master's degree classification. To qualify for this distinction, you'll need to complete an acceptable master's degree, defined as an "academic or professional degree in the field of education or in an academic area for which a corresponding or relevant teaching area if authorized by the State Board of Education." To advance to the master's degree classification, you'll need to submit a Request for Change/Action formto the Office of Educator Services. This change in classification automatically increases your minimum salary. For example, according to the South Carolina Department of Education's minimum salary tables, educators new to the profession with a bachelor's degree earned a minimum salary of $32,000 in FY 2018-2019, while those with a master's degree earned a minimum salary of $36,649, an increase of about $4,600. Similarly, educators with at least three years of experience and a bachelor's degree earned a minimum salary of $32,756 in FY 2018-2019, while those with a master's degree earned a minimum salary of $37,562, an increase of nearly $5,000 annually.